EURUSD is under the influence of German Manufacturing PMI from Markit. The support rests at 1.12170 with resistance at 1.12430 which both lines are above the weekly pivot point at 1.12040. The EMA of 10 is moving with bullish bias and it is crossing the EMA of 100. The RSI is moving above the 50 area, the Stochastic is moving in its high ranges and the MACD indicator is in positive territory. 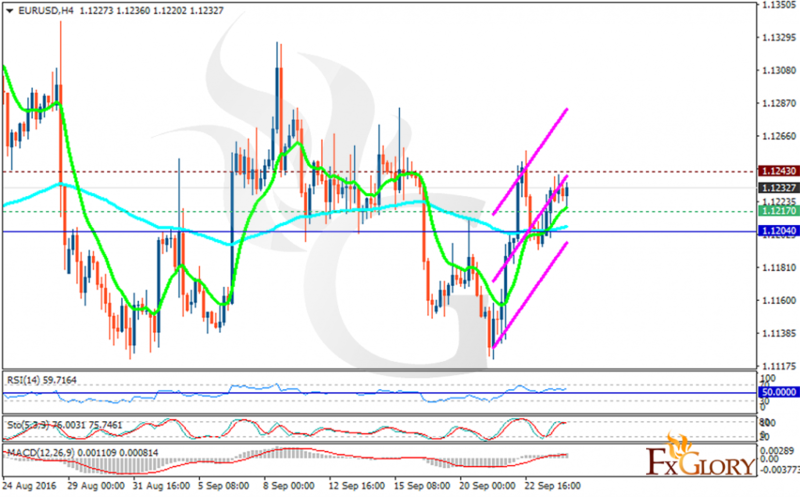 The chart is showing a bullish pattern, buyers can target 1.3000.